Time stands still best in moments that look suspiciously like ordinary life. Normal day, let me be aware of the treasure you are. Let me learn from you, love you, bless you before you depart. Let me not pass you by in quest of some rare and perfect tomorrow. Let me hold you while I may, for it may not always be so. How we spend our days is how we spend our lives. Yes, we're alive and well. 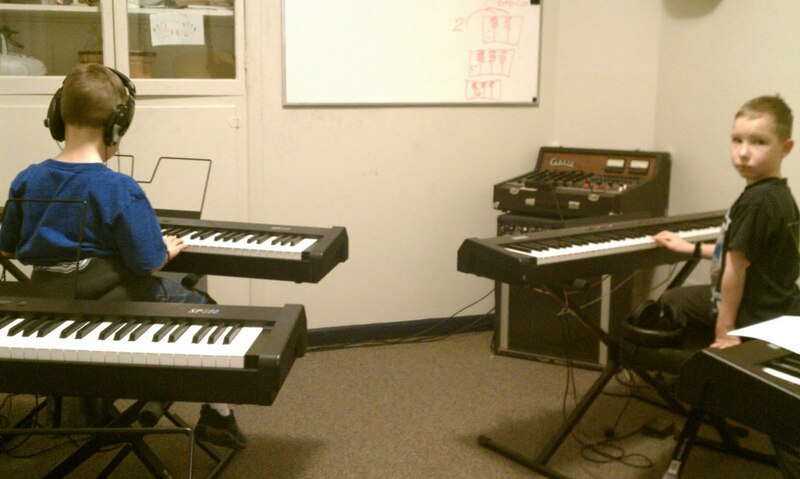 The boys started piano lessons at Ethos. They've had 3 lessons so far, and are really liking it! It will be really fun and interesting to see them make progress in this skill, as neither Dan nor myself has any musical talent....what they learn will be a 100% result of effort and ability. You can listen to a fine sampling of their skills below.